38.69.12S – C7 Valve Flush mount. With Black Hypalon or PVC Doubler. 100% leak tested during production. Quality materials to ensure long life. Smooth internal profile to protect fabric when deflated. Cap acts as a secondary seal. Core can be removed from the outside of the tube. 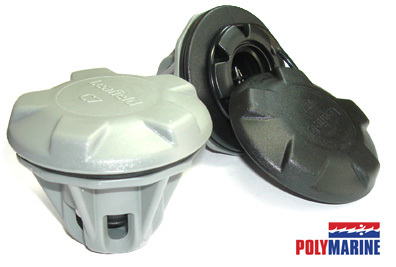 * A very smooth low profile inflate/deflate valve. * Mechanically clamped into fabric hole 31mm dia with reinforcement fabric doubler, thickness .5-3.5mm depending on pressure. The C7 valve has become the preferred inflatable boat valve for use in demanding applications such as Military and Commercial RIBs, River rafts and Inflatable Boats. Its stylish appearance has also won it many fans in the luxury RIB and tender market. When the cap is fitted the rugged retaining strap is hidden from view to prevent snagging on other equipment. 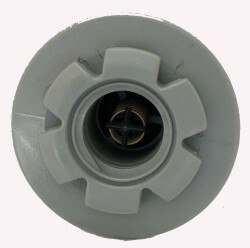 Simple cap replacement – it does not require the valve to be removed. 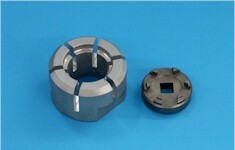 The seal is designed so that it wipes the seal surface as it operates; this reduces leakage due to dirt contamination.